What is the right tyre pressure? Tyre pressure is very important. It will not only prevent unnecessary wear, but the right tyre pressure also ensures that the optimal driving and braking characteristics are maintained. The tyre will be able to deliver maximum performance, and the risk of aquaplaning will be reduced as well. You also have the least rolling resistance if you use the correct tyre pressure. That increases the lifespan of the tyre. Check your tyre pressure at least once every 2 months. Don’t forget to check your spare tyre. 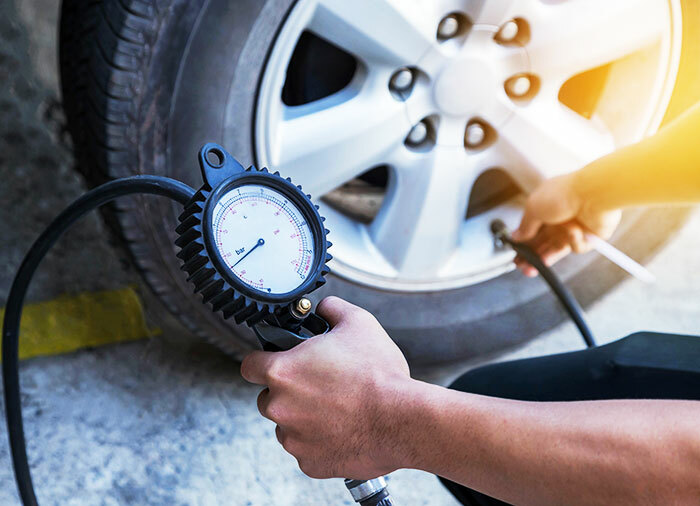 You can find the correct tyre pressure for your car (which depends on make and model) in the instruction manual, or on a sticker the manufacturer has applied to the car (usually on one of the door frames, on the back of the sun visor or the inside of the fuel tank lid). When do I have to replace my tyres? It is a good idea to regularly have your tyre specialist check your tyres. 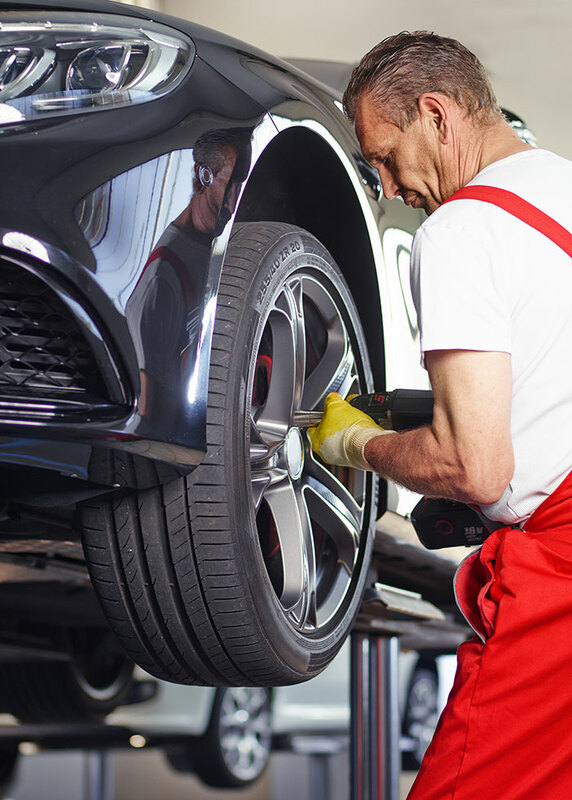 By having them regularly checked, possible defects can be detected earlier, increasing the lifespan of the tyres and limiting possible hazardous situations. Modern car tyres offer a lot of protection against punctures. If you still end up with a puncture, you need to quickly stop the car and replace the tyre. 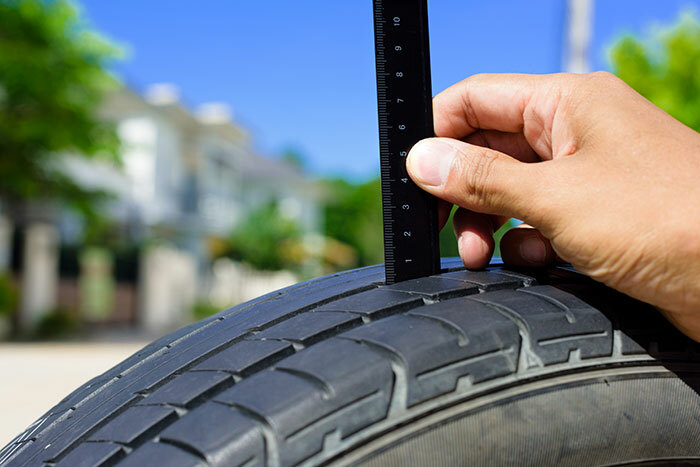 A punctured tyre should always be removed from the wheel to be checked for other damage. If it is necessary and possible to repair the tyre, this has to be done as soon as possible to prevent further internal damage. The legal minimum tread depth in Europe is 1.6mm (4mm for winter tyres). It is, however, recommended to replace tyres by the time they reach a tread depth of 2mm. The tread grooves of a tyre contain wear indicators, called TWIs (Tread Wear Indicators). If the tread pattern of the tyre has worn down to these indicators, the tyre will have reached the legal minimum tread depth. Certain outside factors can cause damage to the tyre. Think, for instance, of sharp objects, such as nails and screws, but curbs and other obstacles as well. If the consequences of the damage are such that the tyre’s carcass has become damaged or visible, the tyre will need to be replaced. If in doubt, always have the tyre checked by a tyre specialist. The tread depth of a tyre. Depending on the type, new tyres have a tread depth of between 7mm and 9.5mm. This tread pattern ensures optimal characteristics under varying conditions. Legally, the minimum tread depth for all car tyres is 1.6mm in Europe. However, it is safer to replace tyres by the time they reach a tread depth of 2mm. The wear limit for winter tyres is a 4mm tread depth, regarding winter characteristics. Winter tyres with less than 4mm of tread depth left are basically no longer considered winter tyres. The tyre treads contain wear indicators, TWIs (Tread Wear Indicators), that show when the wear limit is almost reached.